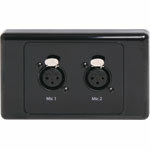 3pin XLR microphone connector mounted horizontally on a dual face wall plate. 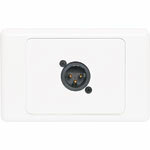 "One-Shot" version with screw terminal connections for quick and easy connection on site. 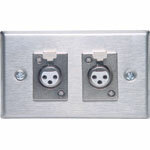 Dual 3pin XLR microphone connectors mounted horizontally on a dual face wall plate. 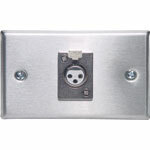 "One-Shot" version with screw terminal connections for quick and easy connection on site. 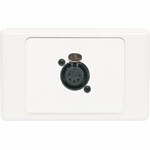 5pin XLR microphone connector mounted horizontally on a dual face wall plate. 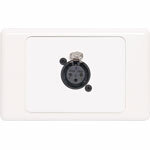 "One-Shot" versions with screw terminal connections for quick and easy connection on site. 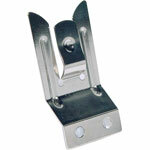 Diecast base, telescopic height adjustment from 220mm to 380mm. Weight 1.4kg. 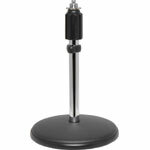 5/8" mic holder threaded adaptor included. Telescopes both vertically and horizontally. Swivel adjustment on horizontal arm. 5/8"" thread adaptor supplied. Heavy cast base. 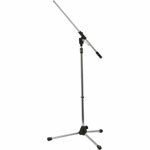 Heavy duty nylon zip lock bag specially designed to protect your microphone stands from the rough treatment dished out by life on the road. 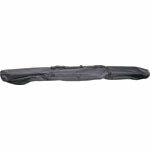 Features a convenient adjustable carry strap. 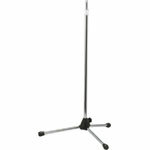 Sturdy telescopic stem with friction grip adjustment and foldup legs. 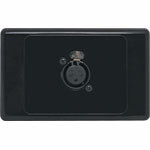 Includes screw adaptor attachment (5/8") for microphone holder etc. 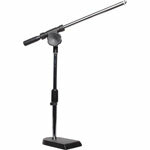 Height adjusts from 96 to 160cm with 70cm adjustable boom. 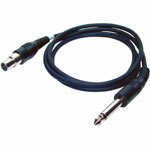 Mini 3pin XLR to Mono 6.35mm Jack Plug suitable for connecting a guitar pickup to a Redback wireless beltpack transmitter. 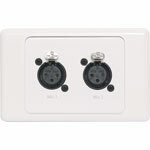 3pin XLR microphone connector mounted horizontally on a HPM wall plate. One-Shot version with screw terminal connections for quick and easy connection on site.